4 1/2 in. closed, 8 in. open. 3 1/4 in. 420HC Stainless Steel blade w/ Drop Point. Includes safety lock and Pocket / Belt clip. Handle Material: Anodized Aluminum with artistic design. 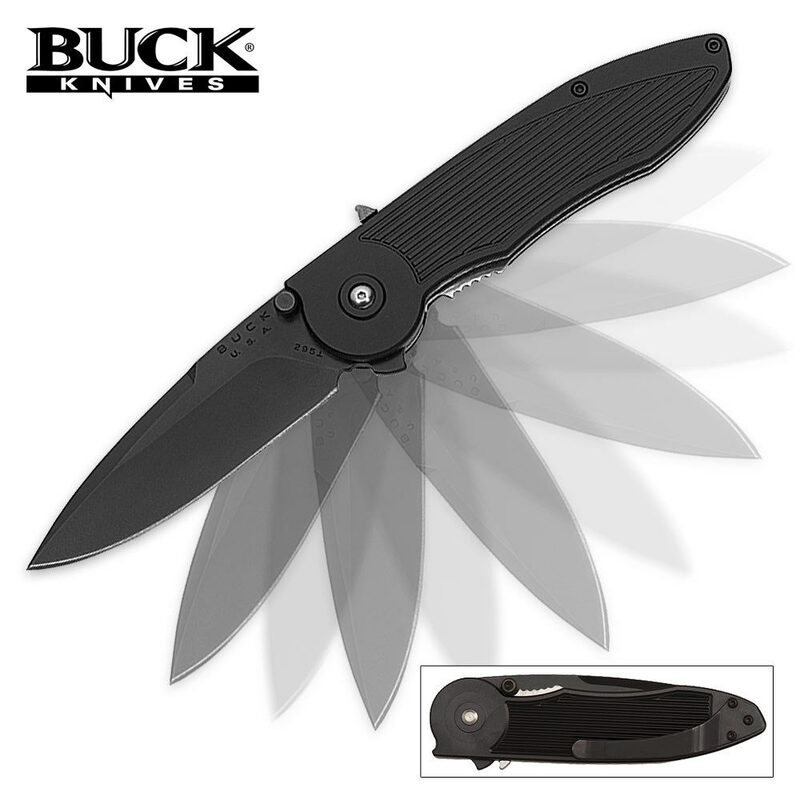 Spring Assist "Legal Automatic" Pocket Knife.